Zenjuries for Urgent Care. All the features of Core Zenjuries plus locational services. Check out some of the features below. Most Workers' Comp injuries get sent to Emergency Rooms, when they would be better served at Urgent Care. In addition to possibly faster service, Urgent Care centers are often a closer and better solution for a workers' comp injury. The problem is, not many know it is available as an option for their injury events. Zenjuries aims to fix this widespread problem. 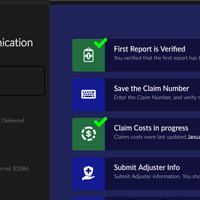 With zMedic, the Urgent Care option for Zenjuries, Urgent Care centers can make their locations be known to all Zenjuries users, and appear on the Zenisphere map. 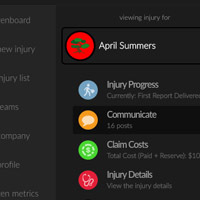 When an injury is reported within Zenjuries, the users are first given the option to take the injured employee to an official Zenjuries zMedic Urgent Care center, and if they select zMedic, they are giving directions straight to your facility. Zenjuries provides mapping and directions to all of your Urgent Care locations. 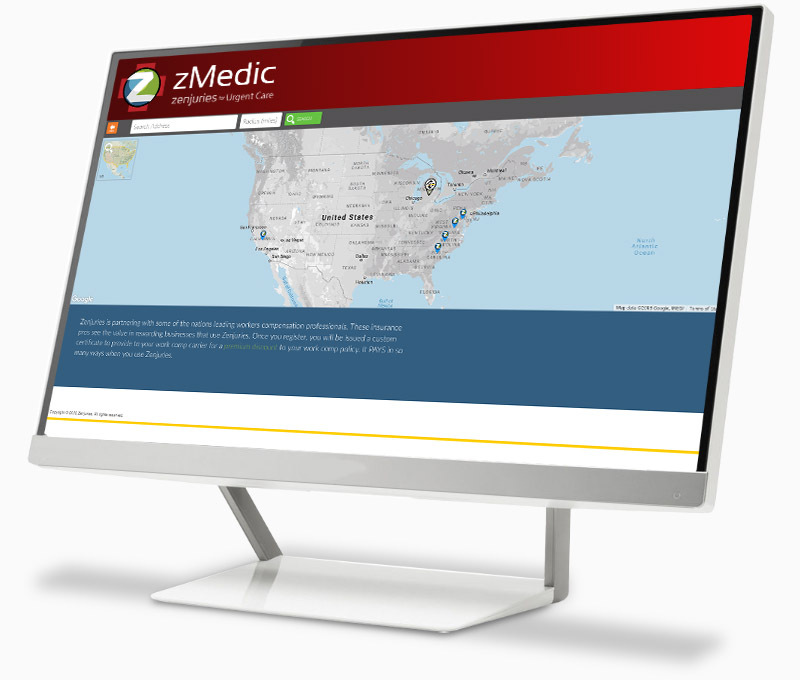 zMedic has the ability to show notes, wait times, and information on each location. Maximize your exposure and increase your business with customized location records. 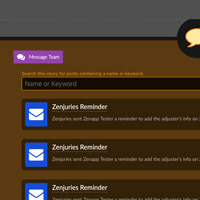 Request a demo of Zenjuries zMedic. You will be contacted shortly after submission to schedule your demonstration.